What Do We Call “The Middle East”? I’d written a book about the Arabian Peninsula and Central Asia and Egypt and the Levant and the Horn of Africa and pockets of modern Mesopotamia — and it needed a subtitle. Things like “Greater Middle East,” “Muslim Worlds,” “Arab worlds,” were all options. Vagueness juggled inaccuracy, and mostly not very well. “You're always going to have a problem with that,” he said. The whole effort felt twisted, and arrogant. My namesake was charged in the first chapter of the Old Testament with naming things — birds and fish, mostly. What was I trying to say when I named the region? The continents are such clean shapes — we’ve seen them since primary school, and counted them. We can name their famous countries and cities, and we know basically where one stops and another takes over. If the fuzzy borderlands get too big, we can slap on a name like “Central America” and learn to think about them as something else. But while “Central America” has hard(er) borders on the way up from the South and down from the North, the “Middle East” overlaps in my mind and on maps with places called South Asia and the Mediterranean. It is identical to the “Near East,” and never touches the “Far East.” Interning for the “oldest Washington-based institution dedicated solely to the study of the Middle East,” we considered Morocco and Pakistan within our purview. Would the Middle East by any other name still have the same geopolitical identity? 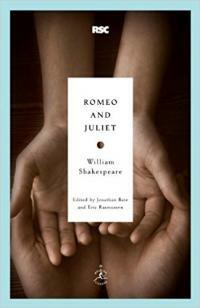 If Romeo had had my internship with Juliet, and asked her “what’s in a name?”, would the Middle East by any other name still have the same geopolitical identity? Or is it like Adam naming species in Eden, and, in naming them, categorizing them? “Arab World” has always felt to me like a misnomer, an oversimplification that uses ethnicity for ham handed shorthand. Insofar as it implies linguistic unity, and by that measure a kind of cultural one, I’m cooler with it. (But then, shouldn’t it be the “Arabic World”?) Thinkers like the Lebanese novelist Jurji Zaydan helped codify a modern “dialect” of Arabic at the turn of the 20th century — and because of that there is a common language (in newspapers and on the news, in written documents and literature), but what about the realities on the streets? The Arabic-speaking territories are perhaps the world’s clearest example of diglossia: a state where, as the linguist who coined the term in English wrote in 1959, “two varieties of a language exist side by side throughout the community, with each having a definite role to play.” Modern Standard Arabic for formal situations, a regional dialect for every single thing else. Do we include northern Iraq now, with its two dialects of Kurdish, all but fully broken from the majority Arab state? In the age of an independent Kurdistan, would it only be the nation’s history that kept it within The Region’s boundaries? If the main criterion is language or blood — how much is enough? Are we content to use fractious countries as units and trace the political borders around those with Arab majority populations? Or the West Bank and Gaza, subordinated parts of a Jewish state, places where Arabic is the language on the street but certainly the language at the political top? Do we include Morocco, which has Arabic as an official language but a dialect no one east of Tunisia understands? A population more Berber than Arab, with no one-dimensional ethnic boundaries you could draw even around single people? In policy circles, the term MENA (Middle East and North Africa) is considered a helpful calibration. But does it need further tweaking? What about Sudan, which mandates Modern Standard Arabic in schools, but whose name literally means — in Arabic — “Blacks”? I’ve met very few Lebanese citizens who would identify as Arab — there, the language doesn’t overwrite the history. The Lebanese, says Lebanon, are Phoenicians. Phoenicians were Semites, but their name came to English through Greek — and so the Lebanese, looking westward, lay claim to better branding. The “Muslim World” makes even less sense — Indonesia and Morocco and Egypt and Somalia and Syria and Dearborn, Michigan and Iraqi Kurdistan have even less in common than Shelsky’s Deli in Brooklyn Heights and Eyal Shani’s trendy Romano in Tel Aviv. And yet: Jewish World says less to me than “Jon Stuart fans.” Jewish Worlds, maybe — in that there are certainly Jewish planets, and they share certain atmospheric traits. But this kind of religion doesn’t seem like a salient border for a region that has buildings far older than anything in practice. If I say “the Catholic World” I admit, I imagine Latin America and half of western Europe and most of Boston and my friend Maximo’s house, and I imagine the Pope holding them all at least nominally together. The would-be Planet of Islam wouldn’t even have that. In 1884, the Royal Observatory at Greenwich declared itself the world’s zero longitude. So, how about this: every once in a while, in the service of global cultural calibration, news folk and politicians can call England “Middle Earth.” If there’s no way to balance perfectly from the get go, it is the little counterbalances that will keep us standing. In fact, if any region’s name is supposed to codify it as something with meaningful boundaries — people, languages, culture, tectonic plates — “Middle” is perhaps a moniker everyone should have. And it’s not just Adam in Eden anymore — we’re all involved, naming and named, choosing where to draw the lines. “It was because men were grouped, and thought of themselves in the form of groups, that in their ideas they grouped other things,” wrote the early sociologists Emile Durkheim and Marcel Mauss in 1903. Insofar as we need names for meaningful groups of people — we’d do well to remember our place at the middles of many human webs. And: It helps me remember that distance matters, that cultural contiguity is like an atmosphere that thins and thins away. Of course, as with anything as fragile as an atmosphere, I want to remember that all this will change, and change again. And that, for every “modern” era, there is a post-modern and a pre-modern and an intellectual movement that contends everything is still the same. Some day, perhaps we can do away with subtitles. Until then, to see that the answer to Romeo’s question is “it depends how well you know roses,” and to tilt ourselves, as gently as we like, toward the thing itself. 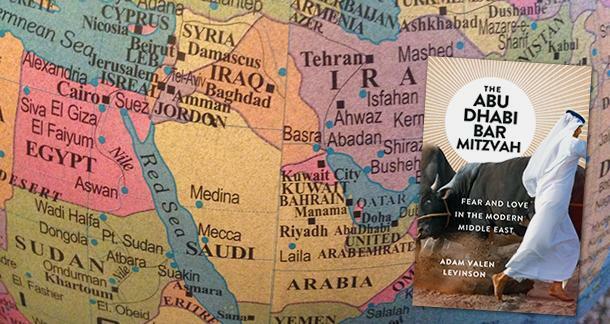 Adam Valen Levinson, author of The Abu Dhabi Bar Mitzvah: Fear and Love in the Modern Middle East, is an affiliate of The Middle East Institute in Washington, D.C. and a fellow at the Center of Cultural Sociology at Yale University. Inaccuracies In Literary Nonfiction: A Necessary Evil?